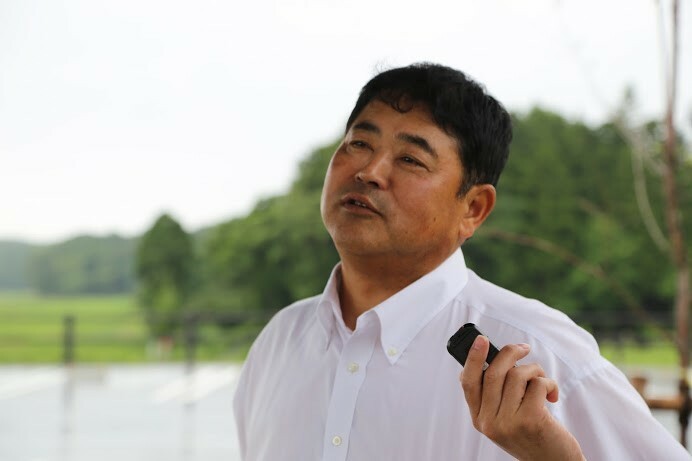 Suzuki Yūichi (56) was born to a farming family in Namie, Fukushima in 1960. 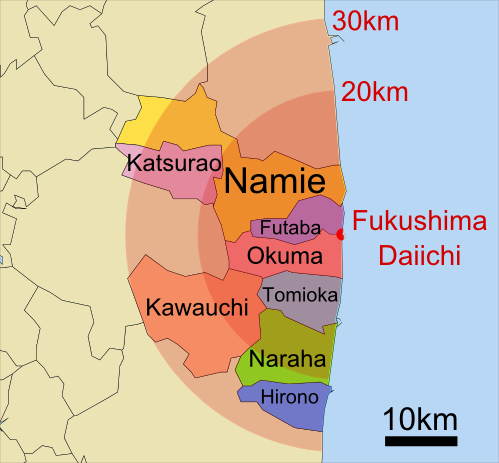 Namie was one of the areas most devastated by the Fukushima Daiichi nuclear disaster, as well as the Tōhoku earthquake and tsunami of March 11, 2011. Besides 565 deaths from the earthquake/tsunami, because the town was located within the 20 kilometer exclusion zone around the damaged nuclear power plant, the entire town was evacuated on March 12. 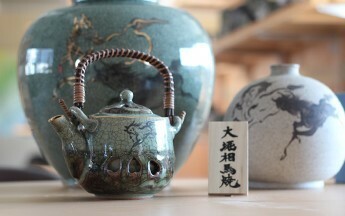 The government of Namie continued to operate in Nihonmatsu-city 39 kilometers from Namie. At the time of the nuclear accident, Mr. Suzuki was working in the Citizens’ Affairs Division of Namie and was immediately assigned to the Disaster Management Division established to assist citizens in finding missing family members, locating temporary housing, and evacuating families. Suzuki was subsequently responsible for decontamination efforts, return policies, and establishing clinics for prospective returnees. In the summer and the winter of 2016, I visited Namie with my colleagues Professor Yoshihiro Amaya of Niigata University and Yoh Kawano, a PhD candidate at UCLA, to interview Mr. Suzuki. Suzuki remains skeptical of Japanese government programs for “reconstruction” or “revival” of the affected areas. He anticipates that the area will become a “no man’s land” after the elderly returnees pass away. Namie’s population was 21,400 at the time of the nuclear accident. He estimates that 10 percent or less will return. The interview is an important testament to the ongoing rift and dissonance between Tokyo and Fukushima over the policies and slogans of “reconstruction” and “return”. K.H. orange zones on March 31, 2017. 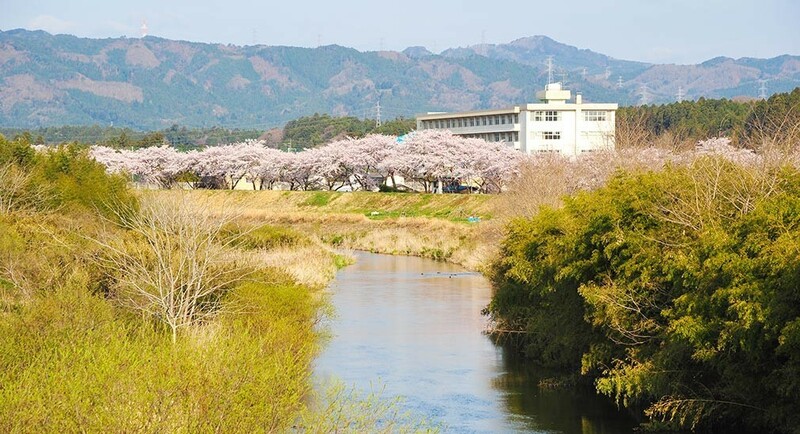 This image is taken from the website of Fukushima Prefecture. Suzuki: Yes. We have been working to restore infrastructure to its pre-earthquake and tsunami state. Concerning the water supply goes, restoration work is nearly complete, and the sewer system has been restored in areas where the evacuation orders are expected to be lifted to the point that we can operate, although I can’t say it is 100% yet. 1In April 2013, two years after the disaster, the Japanese government changed the limit of radioactive exposure dose from one milli-sievert per year (mSv/yr) or 0.23 micro-sievert per hour (μSv/h) to 20 mSv/yr or 3.8 μSv/h. This standard was roughly 6 times higher than that for “Radiation Controlled Areas.” The Labor standards act prohibits those under the age of 18 from working under these conditions. 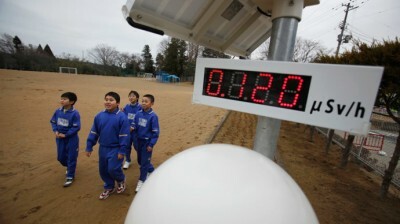 This new standard has been used only in Fukushima for determining evacuation zones as well as school grounds, buildings, and residential areas. The policy of zoning left (607) 743-2421out over 260 “spots” in areas such as Minami Sōma-city, Date-city, and Kōzu-village whose radiation levels exceeded 20 mSv/yr. The government initially announced that the new standard would be used as an emergency measure and soon be lifted. Contrary to this announcement, however, 20 mSv/yr has virtually become the new standard for safety measure and return policies. 2When I visited Namie in the summer of 2016 with a group of researchers of Niigata University, the radiation level in some backyards and a forest area ranged from 5~10 microsieverts per hour. 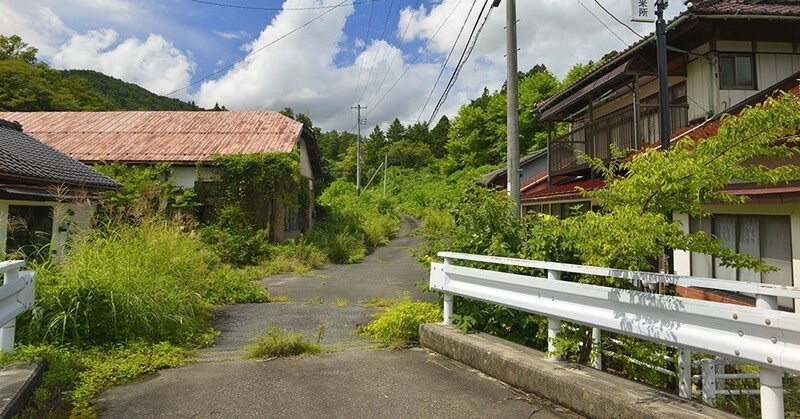 3In 2012, Fukushima prefecture promised to build “reconstruction public housing” (fukkō kōei jūtaku, 復興公営住宅) in Iwaki-city, Minami Sōma-city, and Fukushima-city for evacuees. The temporary housing (kasetsu jūtaku, 仮設住宅) was originally expected to be in use only for 2 years until the construction of public housing. But due to central government hesitation to implement this plan as well as the increase in the cost of construction materials and worker outflow from Fukushima to Tokyo for the 2020 Olympics, the construction of the public housing was delayed and over 30,000 people are still living in the temporary housing. As reported in many media outlets, the conditions of temporary housing are far from desirable. The walls are paper-thin, and apartments are small. Furthermore, about 50,000 people are either living with relatives or renting apartments, unable to find new homes. According to the 2015 survey conducted by Fukushima prefecture, 62.1% of the 80,000 evacuees have health problems. 61.6 % are worried about the wellbeing of their families and themselves, 43.2% about their housing, 42.7% about their mental conditions, and 39.0% about the uncertain future and financial problems. 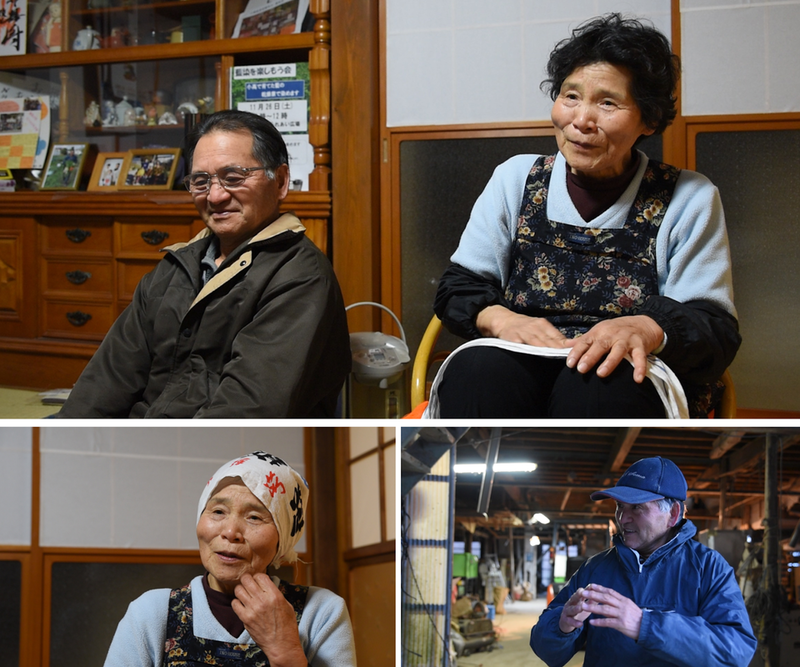 When I interviewed evacuees from Namie at one of the temporary housing sites in Nihonmatsu, they expressed similar concerns. Now, with the lifting of evacuation orders, they will be forced to decide whether to return to their hometowns or find a new home within or outside Fukushima. 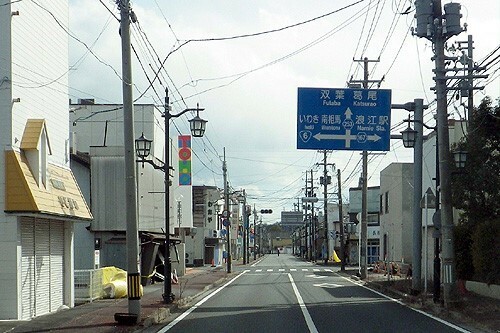 4Hirono-town is about 20 kilometers from Fukushima-Daiichi. The Japanese government lifted the evacuation order in 2015. As of 2017, 2,897 out of 5,490 people have returned. 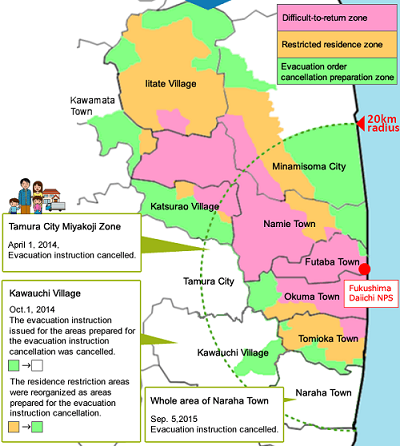 Naraha-town is 16 kilometer from Fukushima-Daiichi and the evacuation order was lifted in September, 2015. 767of 8,011 Haraha residents have retuned to the town. Odaka-ku of Minami Sōma-city is also 16 kilometers from Fukushima Daiichi. The order was lifted in July, 2016. 1,329 of 12,842 Odaka-ku returned to the area. 6Ishihara Nobuteru, a son of former Tokyo mayor Ishihara Shintaro, then Minister of the Environment, made the infamous remark in June, 2014 during a Q and A session at the House of Councilors with regard to slow progress in persuading towns and villages to build intermediate nuclear waste storage facilities. 7The Great Hanshin-Awaji earthquake occurred on January 17, 1995 in the southern part of Hyogo prefecture, Japan. It measured 6.9 on the earthquake magnitude scale, claiming 6,434 lives, most of which were in Kobe, a major urban center with a population of 1.5 million. 8In 2016, the Abe administration has decided to use taxpayer money for decontaminating affected areas in Fukushima. The decision marks a fundamental shift from the current policy that obliges TEPCO to pay for the decontamination work. The 2017 decontamination work is estimated to cost 30 billion yen. Behind the adminstration’s decision for the use of taxpayer money is the rapidly expanding expense of decontamination, with the latest estimate rising from the original 2.5 trillion yen to 4 trillion. This estimate does not include the no-return zones. The government expects the planned work in those areas to cost roughly 300 billion yen over five years. The Abe administration’s decision not only increase people’s financial burden but also blur TEPCO’s responsibility for the irretrievable damages it caused. 9Each person receives from 100,000 to 120,000 yen per month as compensation for mental anguish in addition to compensation for the loss that varies significantly. The former compensation will end in 2018. 10As stated in note 2, the Japanese government was reluctant to support the building of “reconstruction public housing.” This was mainly because it was concerned that this would slow the return of evacuees to their hometowns and home villages. Hino Kōsuke writes in Genpatsu Kimin that Tokyo’s reluctance indicates it is prioritizing the return policy over respecting evacuees’ needs and concerns. Suzuki Yūichi’s statement here expresses the same view.